The former minister for Tourism and Natural Resources, Ezekiel Maige is at the centre of controversy over abuse of office case. The case of misappropriation of 133m/-is facing Bernard Musomi Murunya, former chief conservationist with Ngorongoro Conservation Area Authority (NCCA) but the court here was yesterday told that the former minister benefited from the funds. Murunya and three others were on November 19, this year arraigned before the Arusha District Magistrate’s court to answer charges of abuse of office. On November 19, the prosecution led by Monica Kijazi and Rehema Mteta from the Prevention and Combating of Corruption Bureau (PCCB) alleged that Murunya and three other accused, which included NCCA Director of Finance and Administration Shadi Reuben Kyambile caused the loss of $66, 000 (Sh133million) for their actions. 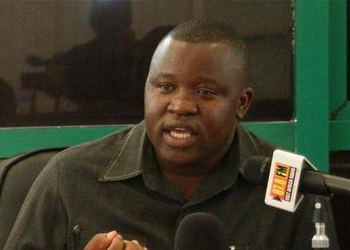 The prosecution led by Violeth Machary alleged that Kyambile worked on Murunya’s orders to facilitate foreign travels costs for Maige while he was still the Minister for Tourism and Natural Resources. It was alleged that on September 5, 2011, Murunya, being Chief conservationist with NCAA directed his director of finance and administration to facilitate foreign travels costs of payment for an unspecified destinations. According to the prosecution, the offense amounted to abuse of office. Before Resident Magistrate Patricia Kisinda, the prosecution further alleged that on September 9, 2011, Murunya who is also a legislator with the East African Legislative Assembly (EALA), in his capacity as chief conservationist of Ngorongoro Conservation Area Authority failed to discharge and honour his duties well, resulting into a loss of 133million/- to Cosmos Travel Agency. In the same count, the prosecution further charged that Veronica Ufunguo, a former tourism manager with NCAA, on the same date, granted Cosmos Travel Agency a deal of supplying air tickets without involving a competitive tendering process, an offence which violates the Public Procurement Act of 2011. The prosecution charged that the two, being former employees of NCAA are accused of abuse of office by causing the authority a whopping 133million/- loss. The two are jointly accused alongside the NCCA Director of Finance and Administration, Shadi Reuben Kyambile and Salsa Ibrahim Issa, the Director of Cosmos Travel Agency. Reading the fourth count, the prosecution alleged that the four were all accused of deliberately causing a loss 133million/-.to the NCAA. All the four pleaded not guilty and the case had been adjourned until January 25, next year.